Thank god I am done with the Facebook Focus month. Not sure I will ever devote an entire month to a single topic again. By the time I go to the end of the month I was pretty much done with the whole thing. I did stick to the idea and learned I do not like focusing that much! One other thing I learned is I am not the only one going through this and I have been so inspired by all who have contacted me to say that they have cut their time on the games to focus on what matters to them whether it is working on the garden, painting, or claying. This week I am gearing up for the next clay swap at City O clay. I just love the swaps so much and I am always amazed at how talented and creative the participants are. In case you missed it here is the post with pictures from the last swap. This time the theme is a summer one and we are going to have the due date be Labor Day which is the official end of Summer. I just hope that doing the swap for the extended time frame does not have people putting it off till the last-minute (because they think they have all summer they may not be motivated to start now) and then finding out they do not have time to complete it. Voting is still going on so if you would like to join you are more than welcome. You do have to be a member of City O Clay which is a Yahoo group that focuses on Polymer Clay. It is where I have hung my virtual polymer clay hat since January of 2007. I like the group because of its slow pace and wonderful relationships that I have formed. It may not be your cup o tea but I enjoy it and have had such fun participating in the swaps that have been hosted at the group. My son has been working hard this last week on cleaning his room. He is getting rid of all the kid stuff and that means the room needs painting. Here is the before shot. The whole room was dark purple even the ceiling. 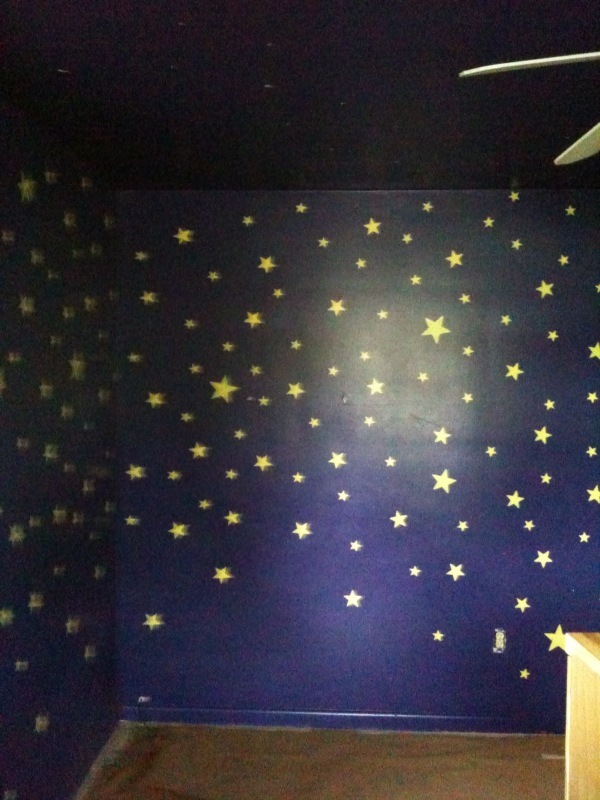 The stars were stenciled in and there were glow in the dark ones haning from the ceiling. He had his name in glow in the dark stars and my husbands attempt at a spaceship. This worked great while he was a kid but now being a teenager it is time to go. So we have spent the weekend painting the purple took a few coats but I am so proud of the hard work he has put into it. So excited hubby is coming home on Tuesday he has been gone since Mothers day and I am really looking forward to having him back at home safe and sound. Also going on this week is my sons graduation he will be going to High School next year, I have the clayguild meeting on Saturday (not sure if I can make it or not), and Fathers Day on Sunday. So a busy week in front of me and I am looking forward to it all. 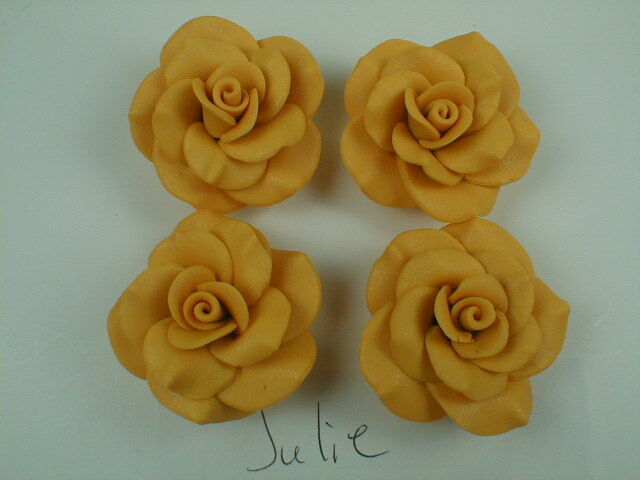 This entry was posted on June 13, 2010 at 2:38 PM and is filed under "city o clay", Bead Swaps, polymer clay. You can follow any responses to this entry through the RSS 2.0 feed. You can leave a response, or trackback from your own site. it. You make it entertaining and you still care for tto staƴ it smart.